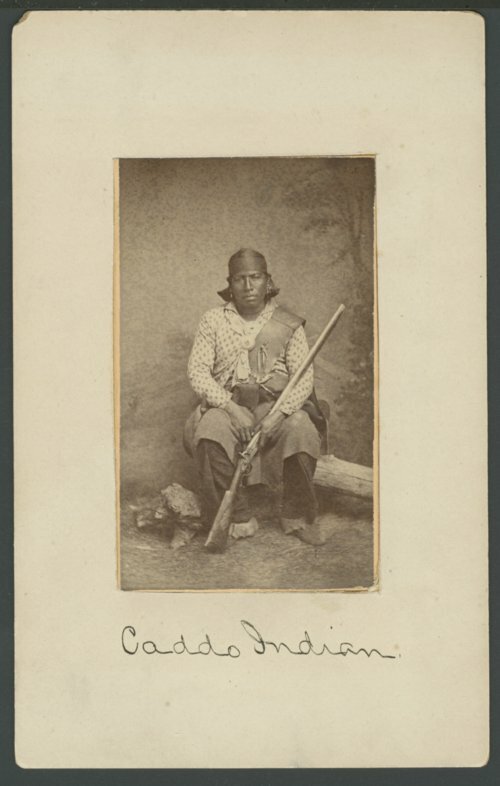 This carte de visite shows a Caddo Brave holding a percussion rifle while seated on a log of wood. The identification on the photograph indicates that it was "Procured by C. L. Wilson, Co. L., 11the Kansas. 1870's."